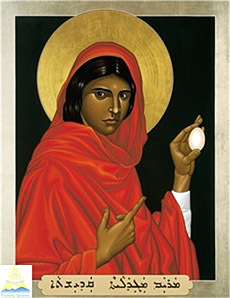 Today on the Feast of Magdalene, we continue our biblical women series. This time with a male voice. But here Bill Wylie-Kellermann offers a sermon with Peter apologizing to Mary Magdalene. There is a sweet irony, perhaps several, in St Peter’s hosting this service for the Feast of Mary Magdalene, one which makes this traditional gospel for the day more than appropriate. By Lydia Wylie-Kellermann. A Pentcost sermon given on May 15, 2016 in celebration of her dad, Bill Wylie-Kellermann’s 10 years as pastor at St. Peter’s Episcopal Church in Detroit.